In 1947, Pakistan started its journey as an independent State with the population of about 70 million with a ‘Muslim’ majority. Before the partition, this ‘majority’ population was living as a minority in United India under the hegemonic influence of Hindu majority population of about 250 million. Muslims under their political leadership claimed the violation of their religious, political, and social rights by the Hindu majority and demanded a separate state. Pakistan came into being as a Muslim State but not an Islamic State. The minority set up was a well-thought-of part of the country. Various minorities like Christians, Hindus and Sikhs with other small communities sacrificed and gave their lives for Pakistan. However, in 1948, Pakistan’s nationalism was hijacked by the Islamic ‘fronts’ and numerous radicalised assemblages with ‘Objective Resolution’. Gradually, the nationalism broke down into religious slogans and sentiments. The fanatical and immoderate entities, which were not even on the same page, succeeded to spear a certain form of fanaticism into Pakistani society and caused to exploit the Jinnah’s version of Pakistan. Establishment led regimes started following certain agendas; particularly the military rules of Ayub, Zia, and Musharraf ascended for their own tenacities to prolong their regimes and violated, exploited, or eliminated the contemporary constitutions. All three constitutions 1956, 1962, and 1973 were smacked and agonized by military regimes. The sovereignty of the state, rule of law, fortification and grooming of democracy, public interests and national thoughts did not preferably sustain as the part of their memos. The constitution of a Country is supposed to be a source of contribution in the nationalism but authoritarian rules exploited the Constitution of Pakistan, subjecting it to their needs for more than 30 years. Unfortunately, Pakistan is the only state that suffered from three hegemonic martial laws in the name of impartiality and democracy. Presently, Pakistan is suffering from the worst form of democracy. Since 1947, about 40 elite and feudal families and their coming generations have been enjoying the rule to exercise their firm elite and hegemonic illicit practices. So-called religious parties, pressure groups, and extremist organizations are huge obstacles on the way of unity, integration, and nationalism in the country. The government has banned more than 70 immoderate and terrorist organizations but they are still operating and involved in sectarian terrorism and extremism. These radical groups are also involved in politics and have the back of strong politicians and parliamentarians. Religious figures are representing only their respective schools of thought with no contribution for consolidated, peaceful, and balanced society in Pakistan. The government has placed a ban on several terrorist organisations working in the name of religion which puts a question mark on the religious strata of Pakistan. Pakistan is facing religious based terrorism. The implementations of shariyyah, Islamic society, Islamic laws, etc. are the eminent demands of the foremost extremists and religious assemblages. But then again, none of the sects approves the version of shariyyah followed by other sect. The implementation of Islamic laws is a dreadful dream for the minorities. The minorities of Pakistan, with about four percent of the total population and ten reserve seats in National Assembly and four in Senate, are true patriots. However, they cannot be elected as the Prime Minister or President constitutionally, which is against the norms of a true democracy. The elite and political classes are responsible for depreciating nationalism in Pakistan. Particularly PPP, PML-N, ANP, MQM and many other political accumulations in Balochistan used the provincial and racist cards to exploit the nation. The leaderships instigate their respective communities against each other in their speeches and statements with no reluctance to hit state institutions. 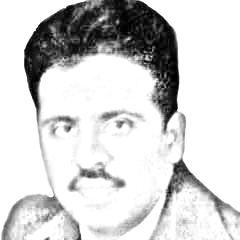 Issues of Kalabagh Dam, water disputes with India, Kashmir issue and many others are directly pertinent to the foreign policy and existence of Pakistan are ill-treated by the politicians for political drives. Moreover, poverty and illiteracy are others reasons for the decline of nationalism in Pakistan. About 40 percent of the population is living below the poverty line. More than 62 percent have no availability of fuel for cooking and more than 40 percent of the population have no assets or properties, which depicts the failure of ‘Pakistan made’ so-called ‘Democracy’. Ultimately, this sort of poverty produces the scarcities in health and education sectors. More than 50 percent of the population cannot complete school education and most of the population lacks health awareness and facilities. In such a society, ‘Nationalism’ remains worthless, which begets a criminal and intemperate society leading to an atmosphere of uncertainty resulting in individualism: fatal for the endurance of the country and a huge challenge for the nationalism. Regrettably, both electronic and print Media are responsible for bifurcating the Pakistani society into a perplexed nation. Most of the media houses are following their set policies and agendas and intentionally penetrating certain un-necessary ideas and notions. Common masses are innocently following the news and anchors of media houses and strongly agree with their arguments. The biased analysis of anchors and analysts is damaging the identity, morale and norms of the society. The misapplication of media can give the opportunities to opponent states to criticize the weightage, ideologies and policies of Pakistan, recent ‘Dawn Leaks’ is its foulest examples. Insufficient basic facilities, bribes, violation of human rights, nepotism, illiteracy, hegemonic attitudes of bureaucracy and politicians are the root causes of the deterioration of nationalism in Pakistan. Pakistan is an independent state of about 220 million ‘Pakistanis’ but controlled by authoritative and a certain strata of less than two percent of the brazen elite in the name of so-called democracy. They have their children and properties abroad but rule in Pakistan. The elites have no concern and intentions associated with Pakistan and have their own agendas to fulfil. Pakistan is for Pakistanis, and this is the only spirit of nationalism, through which Pakistanis can get rid of anti-Pakistan entities by stimulating the sense of patriotism, integration and unity. Published in Daily Times, June 25th 2018.